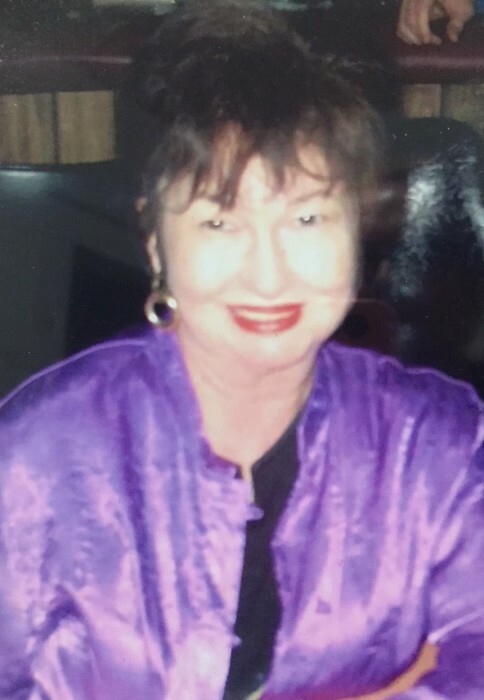 Ms. Wanda Parker, age 80, of Mobile, Alabama passed away on November 29, 2018. She was born in the Barton community of George County. She was a 1957 graduate of Lucedale High School. She was a former member of Barton Baptist Church and a lifetime member of Cottage Hill Baptist Church. She was very involved in Alabama politics and a true Republican. She will be greatly missed. She is preceded in death by her parents, Lavelle and Kathleen Pope; brother, Elwyn Pope. Those left to cherish her memory include her children, Bronda Winfield and Cinda (Curtis) Bayer; grandchildren, Brittany (Dan) Winfield-Roberts, Parker Bayer and Racheal Bayer; great grandchild, Jackson Roberts; ex-husband, Ray Parker; siblings, Patrica Pope Bang and Charles (Madelien) Pope; sister-in-law, Anna Claire Pope; numerous nieces, nephews, other relatives and friends. The Visitation for Ms. Wanda Parker will be Saturday, December 1, 2018 from 10:00 AM until 12:00 PM at Moments Funeral Home. The Funeral Service will begin at 12:00 PM in the funeral home chapel with Bro. John Henry officiating. Burial will follow in the Barton Baptist cemetery. Pallbearers include Dan Roberts, Curtis Bayer, Parker Bayer, Davey Sellers, Victor Burroughs and Van Easterling.